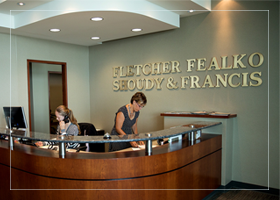 The Fletcher, Fealko, Shoudy & Francis Law Firm located in Port Huron, MI handles a full range of family law matters. Our team counsel’s clients regarding their rights to handling complex asset divisions in Macomb, Sanilac and St. Clair Counties. The firm’s Family Law Work Group is headed by Dana Van Drew, the leading family law attorney in St. Clair County.